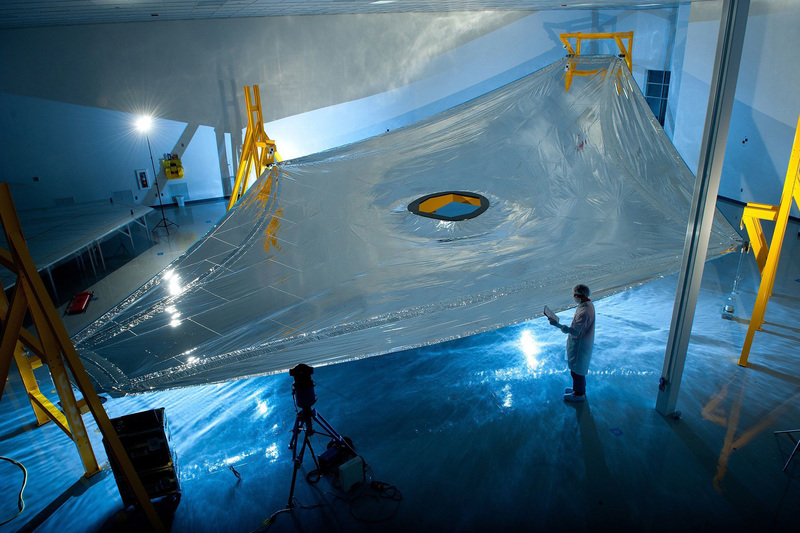 You are looking at the largest piece of tin foil in the planet, one of the James Webb Space Telescope's sunshield membranes. There will be five of these membranes, which will keep its core at 50 Kelvin (-223.15C). The sunshield is a new technology concept developed specifically for the Webb. It's actually made of a material called Kapton, a polyimide film developed by DuPont. Kapton's structure remains stable going from 0 to 673 Kelvin (-273 to +400C) and, for this sunshield, it has been coated with aluminium and doped-silicon. 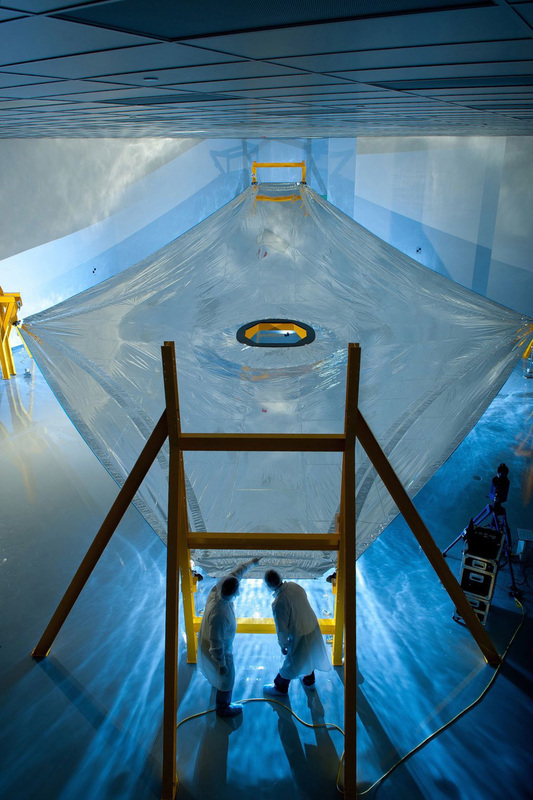 The coating will reflect the Sun and Earth's heat back into space, keeping the heart of the telescope cool.